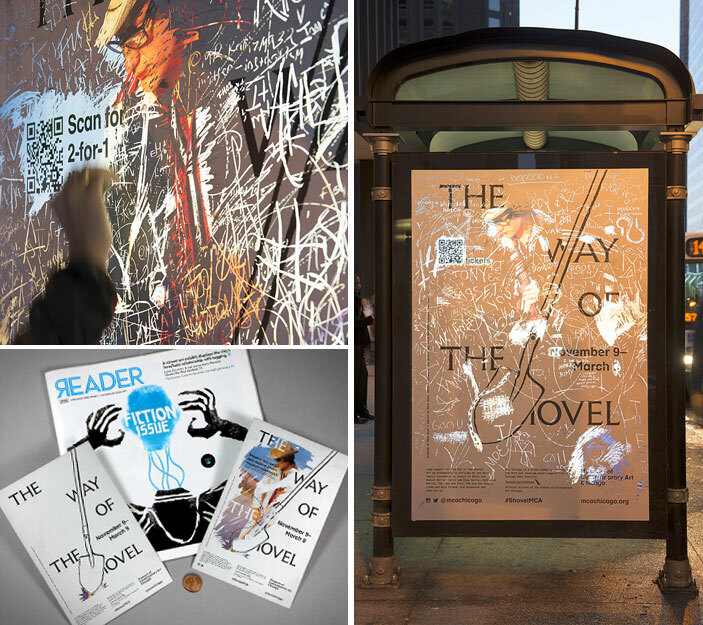 The Museum of Contemporary Art in Chicago has employed scratch-off advertising on bus shelters around the city to hype its newest exhibition, The Way of the Shovel: Art as Archaeology. The ads were printed on backlit, clear plastic. Scratching off the opaque topcoat reveals cool artwork underneath. Since an ad campaign requiring real digging with actual shovels would have been prohibitively costly, difficult and unsafe, this is probably the best way to reinforce the theme of the exhibition. (A scratch-off tip-in ad was also placed in the Chicago Reader newspaper.) I could see this idea working well in film and theater advertising, too.